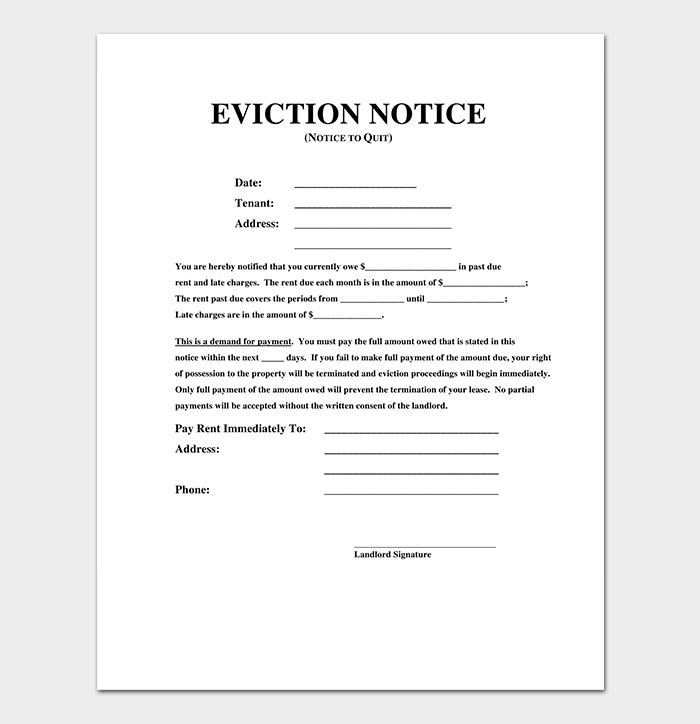 If you are a property owner, one thing that remains true is that on a long enough timeline, you will always find yourself having to deal with an eviction. 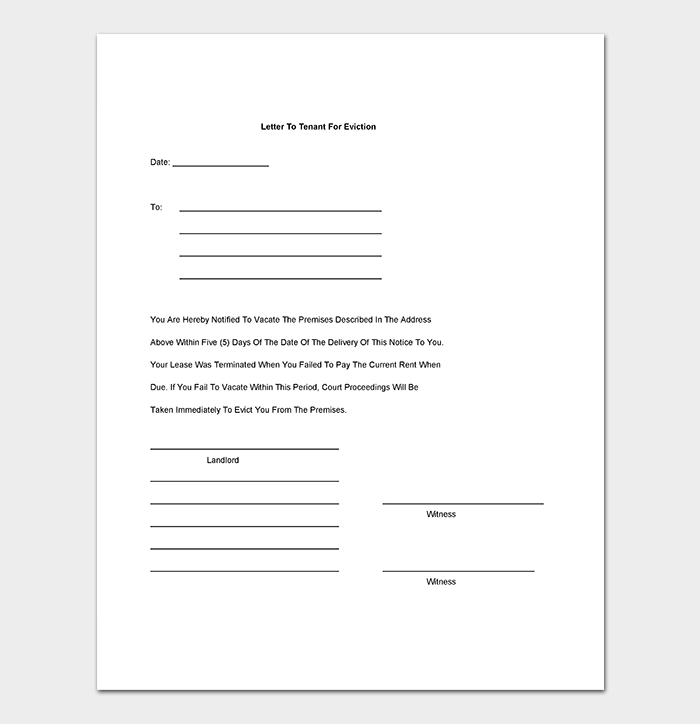 And seeing as how an eviction process is such as serious affair, it behooves you to draft a notice that is brief but informative enough to detail all your reasons for wanting the tenant vacate your property. 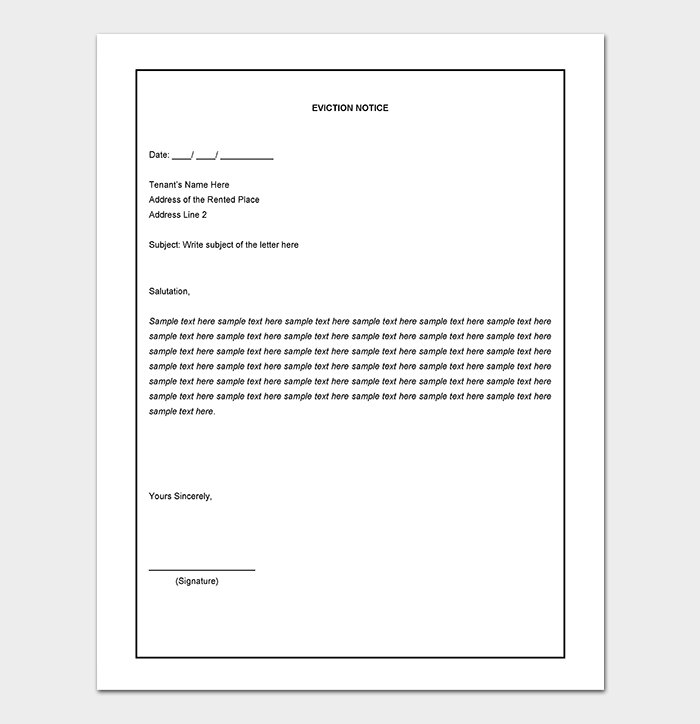 But what happens when you have no idea as to what format the notice takes and what content to include in there? 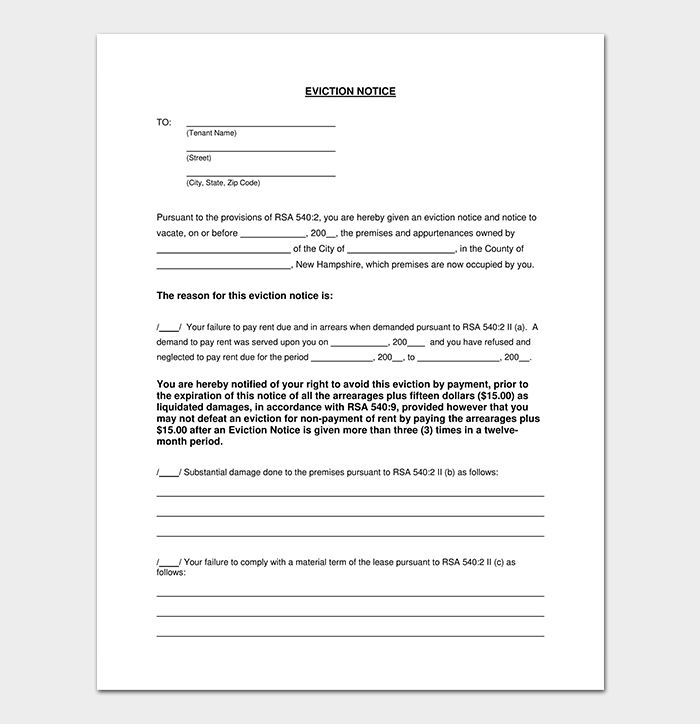 This is where an eviction notice template comes in – to help you draft the notice promptly and skillfully so all the crucial details are captured. 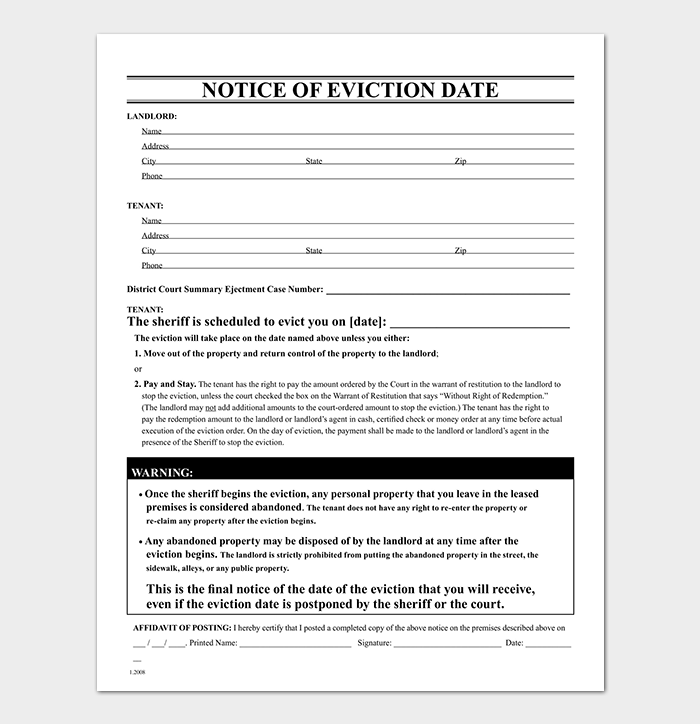 Similar to residential eviction letter but only that it is used to notify the tenant who lives in an apartment. 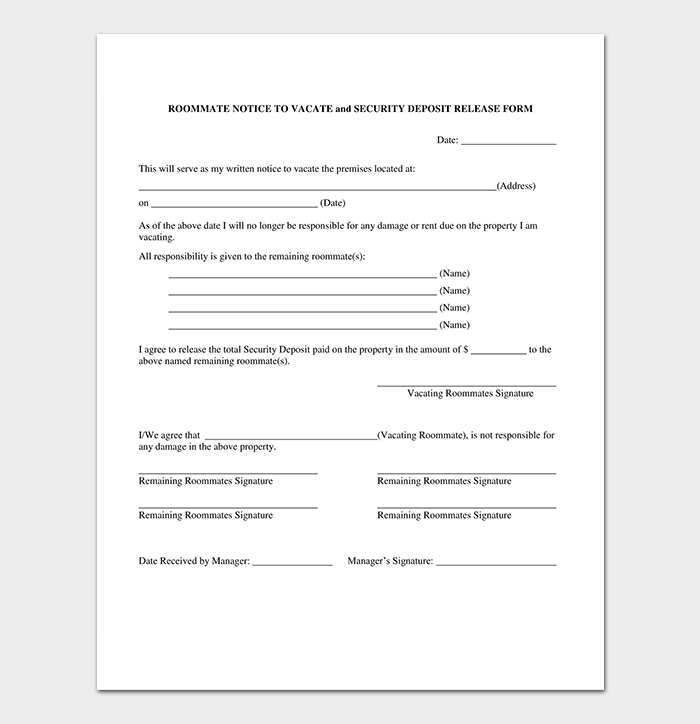 It serves to notify the tenant to vacate an apartment within a specified time period. 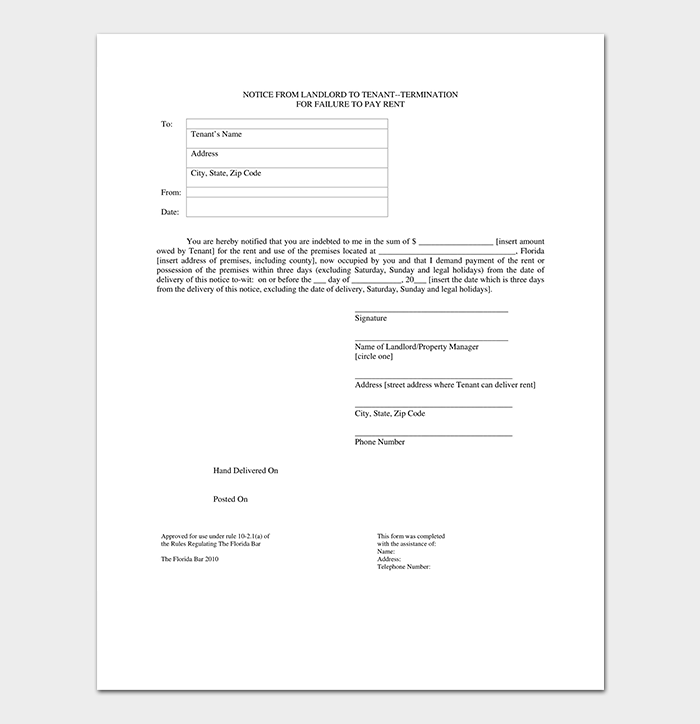 It does not specify the specific details of the tenant. 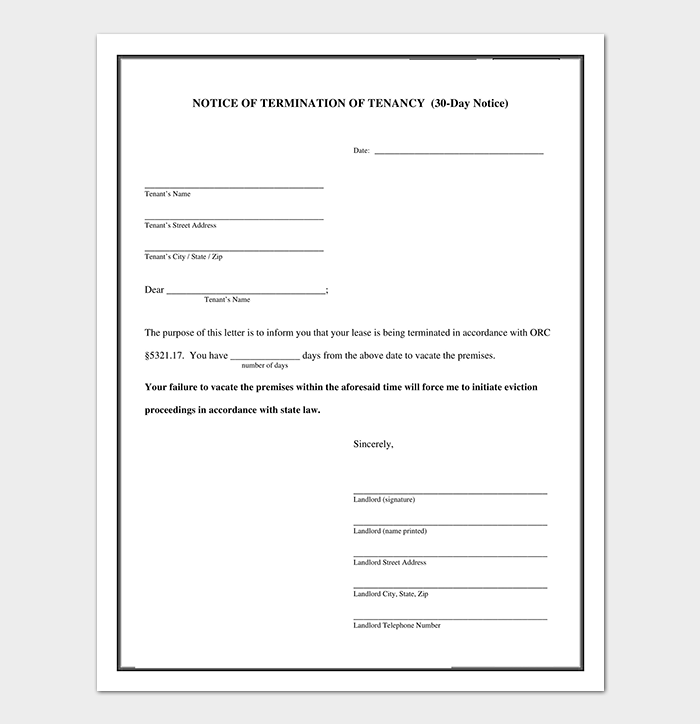 This is used to notify a tenant that they need to vacate the property of landlord. 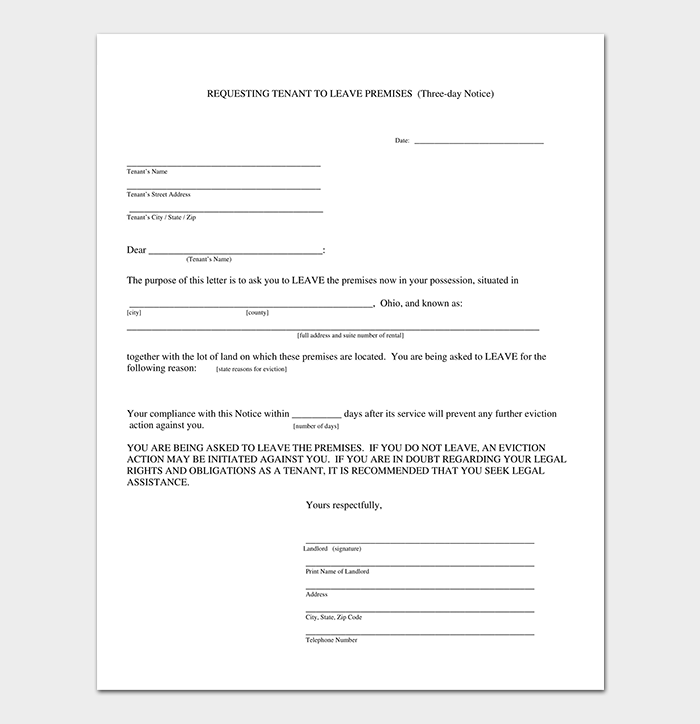 The purpose for this is to notify the tenant that they ought to leave a house that is in residential area. 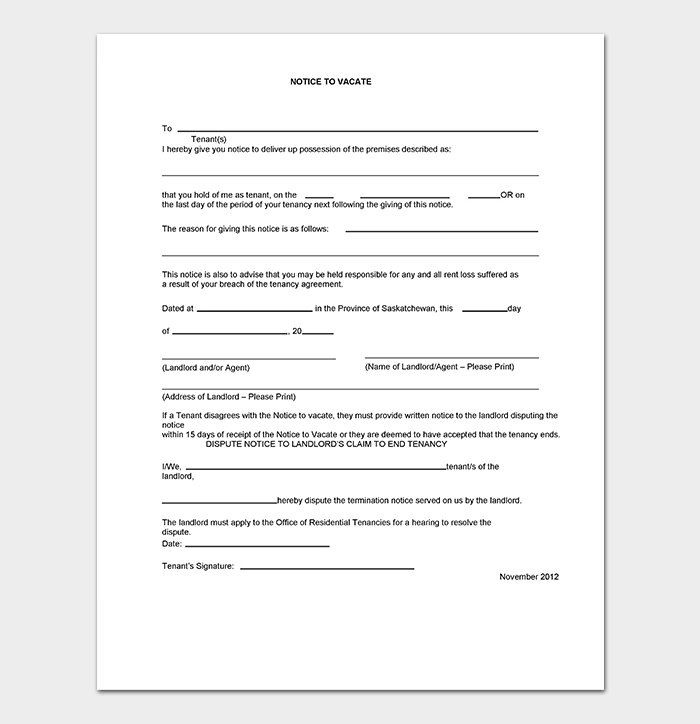 It does not specify the specific details of the tenant. 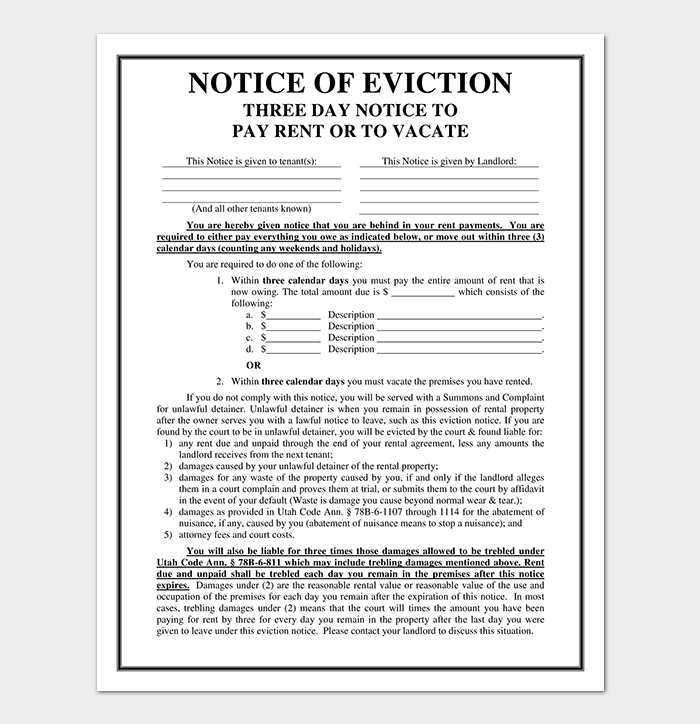 This is a notice that does not give specific details but just conveys the message that a tenant needs to vacate in 3 days. 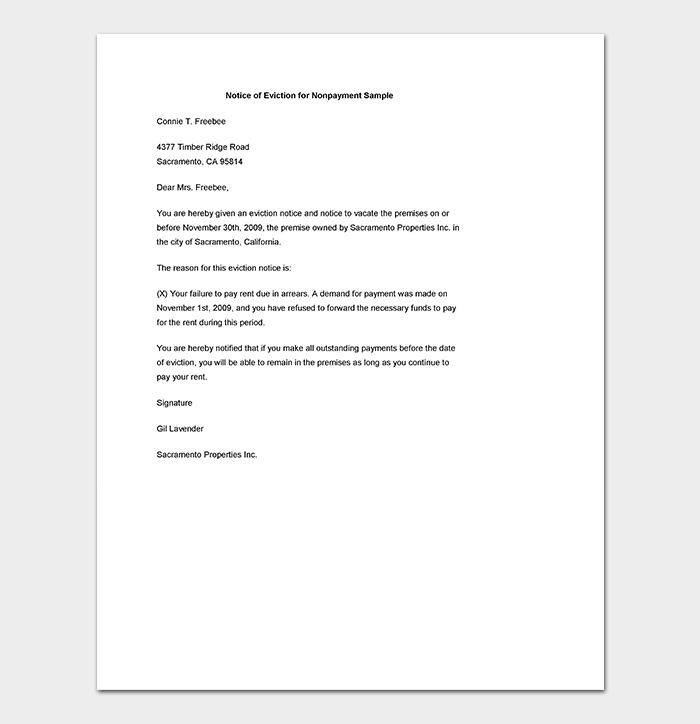 It is an already drafted document that is only needed to be printed as it will still convey the same message without having to specify certain details. 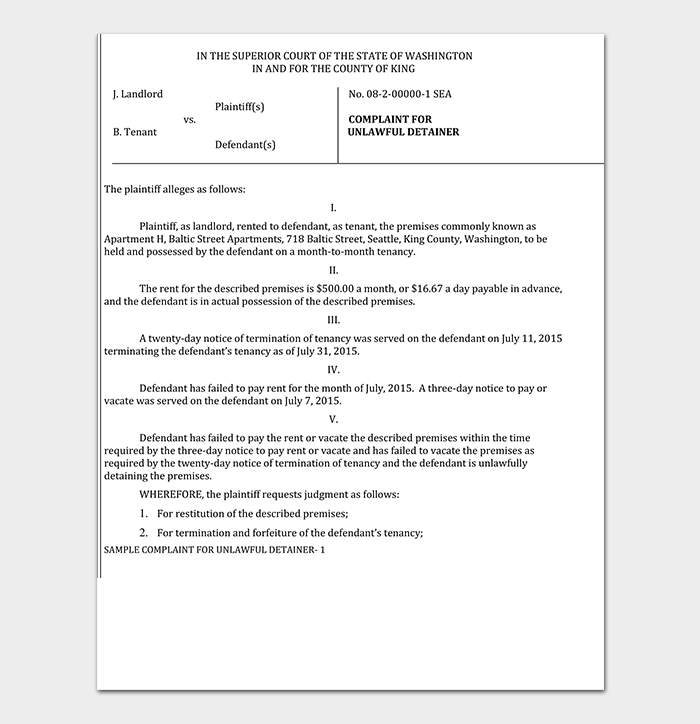 And it gives a grace period of 3 days for the client to vacate the premises. 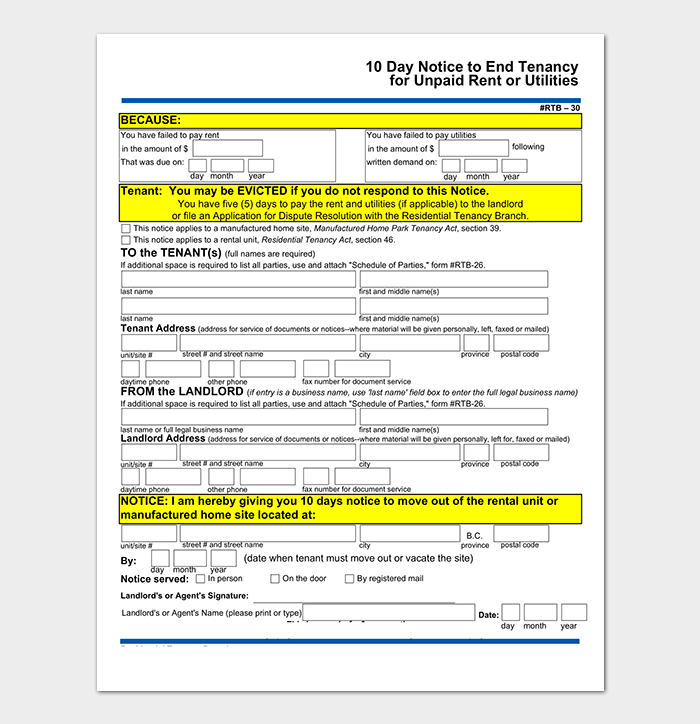 This is a notice template that offers a tenant 30 days to vacate the premises. 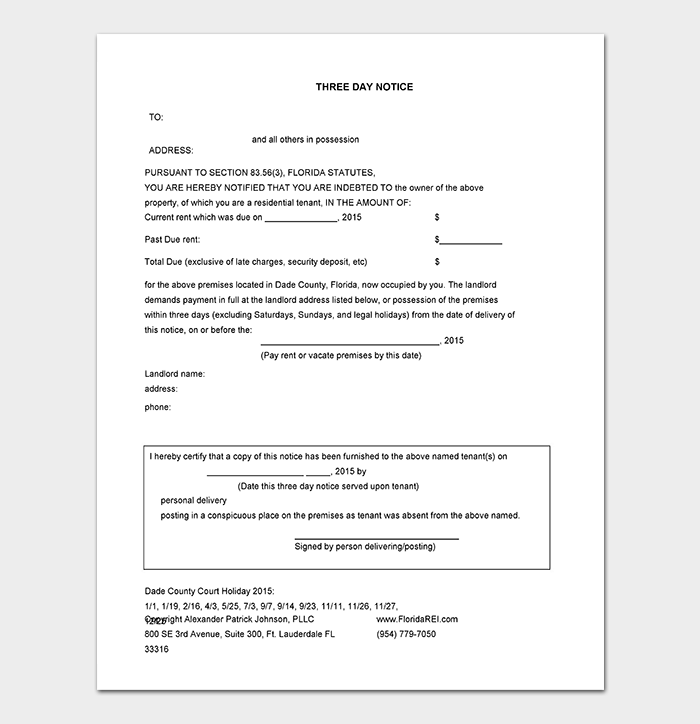 It is different from a notice because it will need to be edited before the tenant receives the notice. 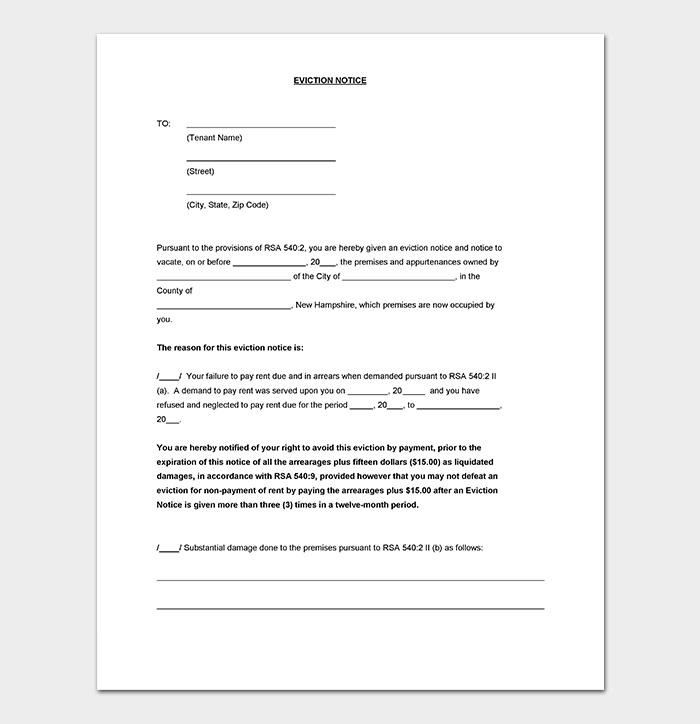 The editing is only to fill in specific details about the tenant who is to be served the notice. 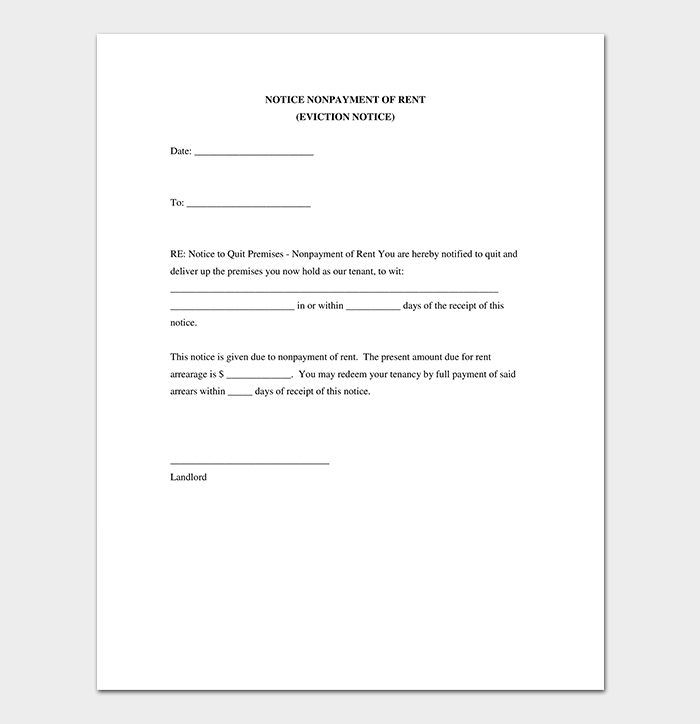 This is a template used to notify a tenant who rents a room within the residence. 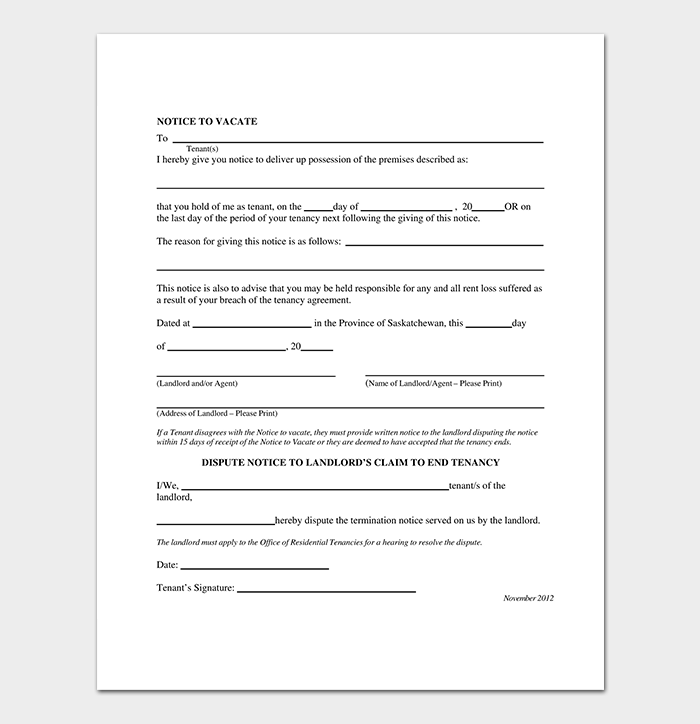 The purpose of this template is to quickly notify the roommate about the eviction by only just filling out the specific details of the roommate. 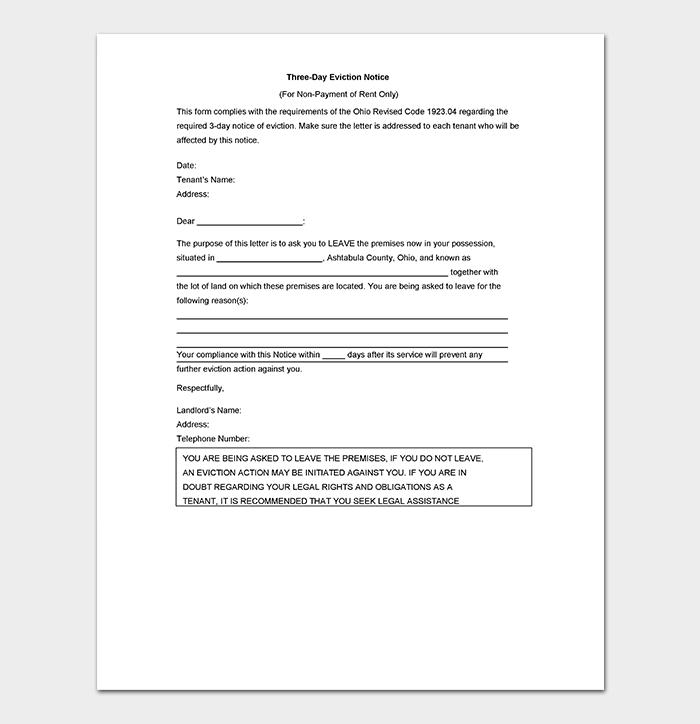 The grace period accorded to the roommate bill will be left to the owner. 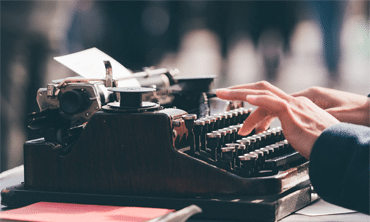 It saves on a lot of time. 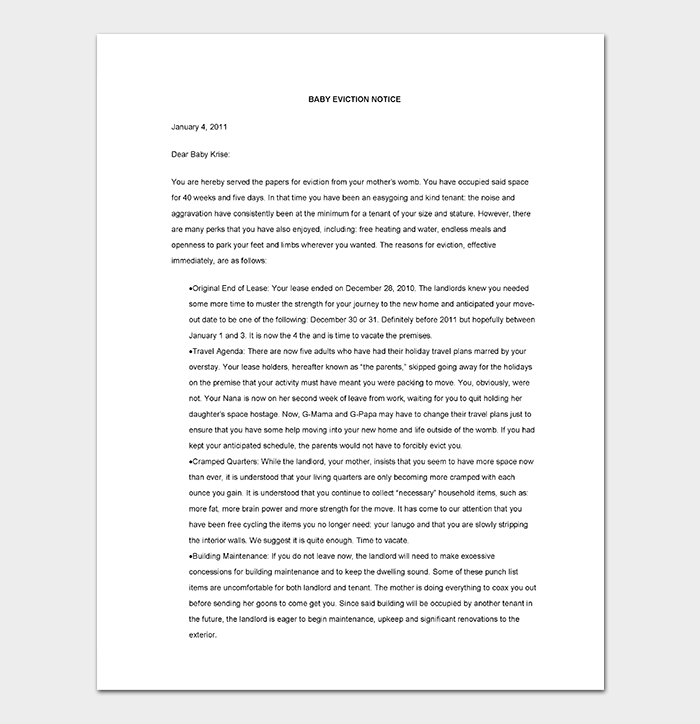 There is no need to think about drafting a letter. 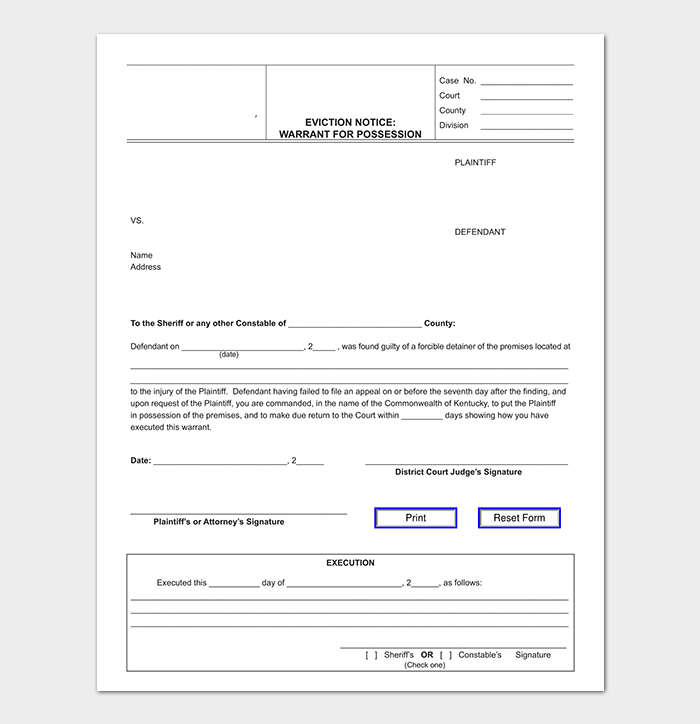 Makes it easier for you to write as you are filling out little information. 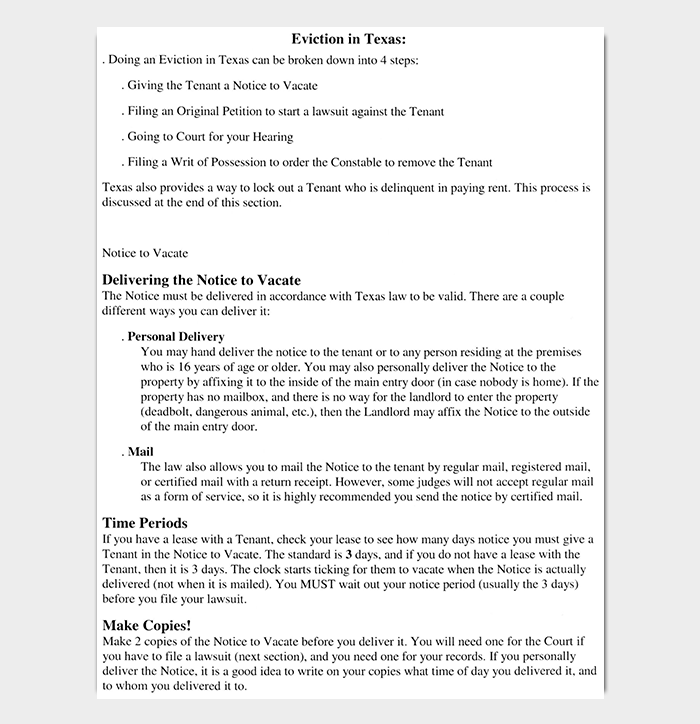 There will be minimal to no errors on the notice in terms of grammar thus ensuring there is complete and total understanding.